Lillian M. Hudspeth Memorial Hospital provides general medical care for inpatient, outpatient, and emergency room patients, and participates in the Medicare and Medicaid programs. 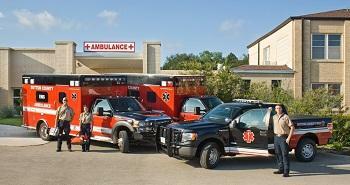 Emergency room services are available on a 24-hour per day, seven-day per week basis. To provide quality health care and services which are responsive to the needs of our community in the spirit of our founders. To commit our compassion to significantly improving every dimension of healthcare in the community we serve. Located between central Texas and the Big Bend Region at the crossroads of Interstate 10 and Highway 277, Sonora Texas offers the best of both the Texas Hill Country and West Texas. Rolling hills and limestone outcroppings laced with oak and juniper greet visitors and serve as the perfect backdrop for the world-famous Caverns of Sonora, the quiet trails of Eaton Hill Nature Center and Preserve, and an abundance of historical attractions including the Old Ice House Ranch Museum. With plenty of lodging and dining options, Sonora offers travelers the perfect weekend getaway or overnight stay on the way to or from Big Bend. Sonora is a close-knit community, a fantastic place to raise a family or retire. Quiet neighborhoods, a fantastic school system and state-of-the-art medical facilities can all be found in Sonora's small town atmosphere.